Lawyers for a friend of Boston Marathon bombing suspect Dzhokhar Tsarnaev have asked a judge to allow potential jurors to be questioned on their attitudes about Muslims and whether they know anyone who was injured in the deadly attack. Azamat Tazhayakov is charged with impeding the investigation into the 2013 bombing, which killed three people and injured more than 260. 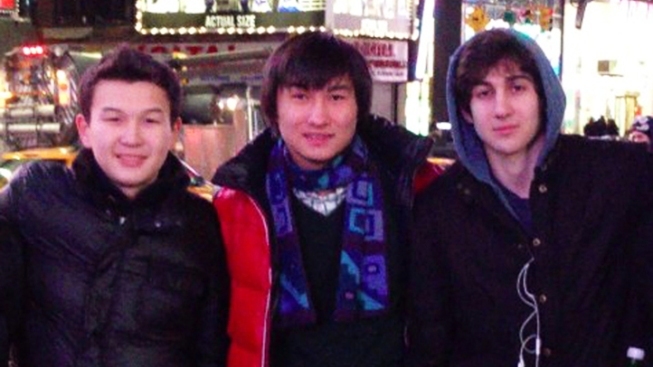 Tazhayakov is not charged with participating in the bombing or knowing about it in advance. His lawyers are trying to find ways of rooting out jurors who may be biased against him because of his relationship with Tsarnaev and the impact of the bombings. During a hearing Wednesday, Tazhayakov's lawyer noted the extensive media coverage and said "the concept of impartiality is going to be tested."